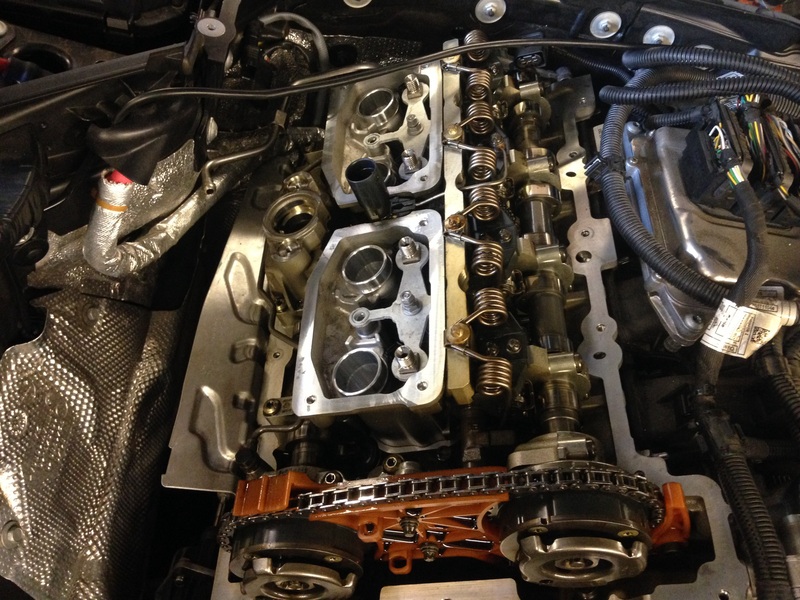 This entry was posted in Uncategorized and tagged N20, noise, timing chain. Bookmark the permalink. How many miles on this engine and what model? Nope,,,,that noise is two things,,,,the rattle noise is the timing chain,,,,and that whine noise is from the oil pump and sprocket gear. 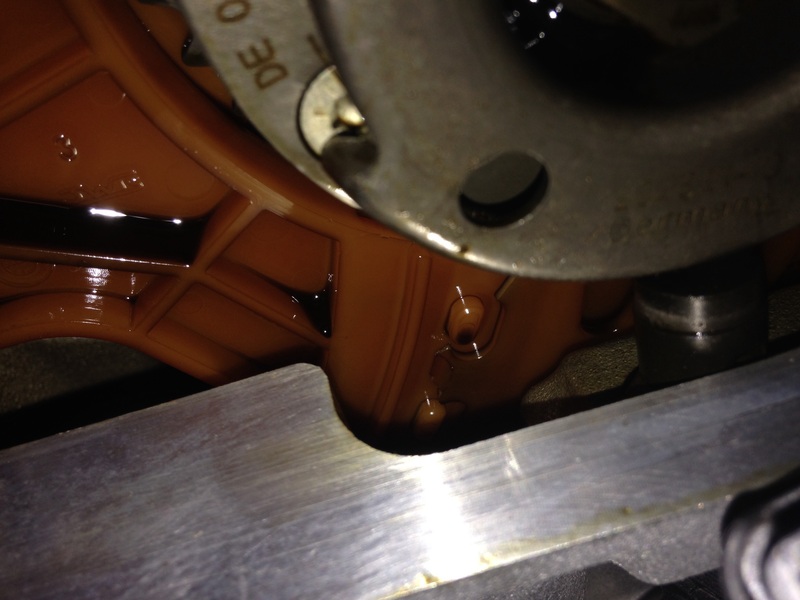 So it really is my oil pump that’s doing that whine. It seems that this thing is expensive to fix. What’s the urgency? I didn’t want to pollute this post, but couldn’t find how to contact you otherwise. I couldn’t get answers from a BMW dealer near by, that didn’t know any better after 3 hours of investigation. 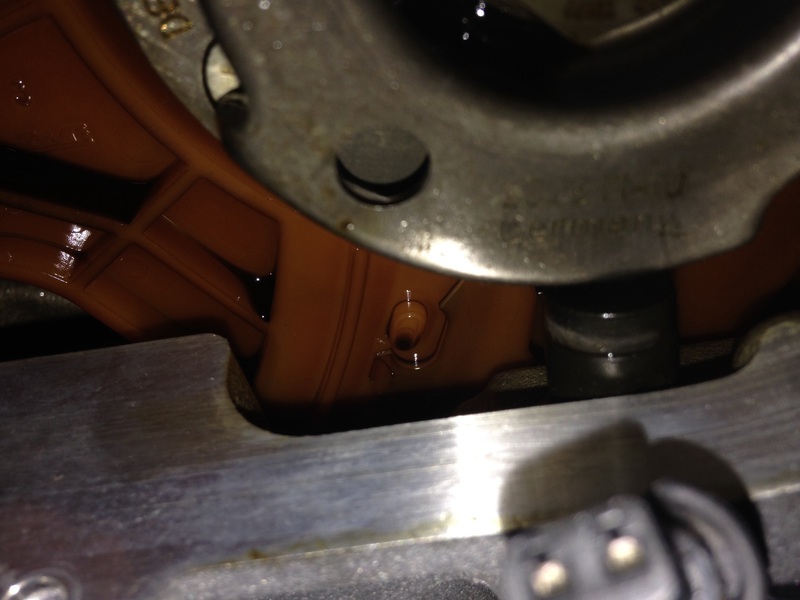 For the fix,,,,BMW had us replace the oil pump and oil pump chain also the timing chain cassette for safety reasons,,,,,I think the problem is the oil pump drive gear that starts to whine,,,feel free to post on this blog anytime. Could you send me the video link so I can compare it to my problem? Can you comment on this post from your experience? have you seen this issue yet in a 2014? I can’t say that I have yet. Can you comment if this is still not an issue with the 2014? 2) when is starts to whine, any indication/estimate when it may completely fail? 3) what is the best strategy (in your opinion) on how to act if whining started? 4) any extended warranty company you know (besides BMW) that would reliably covered this problem? I thinks it’s about 10 to 15 percent of the cars I see with N20 and N26 engines,,,,,about 50% of the cars I see have the N20 engine,,,,when it starts to whine it that start of the problem,,,,when it whines it doesn’t mean that it failed,,,,it just the start of a problem. If you are still cover under warranty or if you have CPO coverage,,,,just tell the dealer your engine has a abnormal engine whine,,,,we haven’t seen any extended warranty company deal with the timing chain noise yet. No I have seen the oil turning to sludge due to the timing chain.,,,,,only seen it turn to sludge when coolant and oil mix,,,,or when some people never do a oil change. Just an observation: looks like the plastic chain cassette in you case broke in the place where 2 parts lock near under intake VANOS. If a flexible laparoscope is used thru oil neck, this could be discovered in literally 1 minute, without opening the engine. Hi, I have a 2013 X1 with the same engine. it has 87k miles and seems to be doing very well. I’ve inspected the chain and guides and that seems fine too. The car was driven all highway and I bought it for my wife for grocery getting….so I’m curious: what was your diving style? highway? stop/go? did you use start/stop often? or anything else you can share. Thanks! I’ve got a BMW 320 from ’12 with a rough running engine, scanning revealed a fault code 118002 mixture bank 1 to rich. Checked the fuel trims and is was at -30.5%. After ivestigation I thought it was the Valve cover internal pcv system. When I removed the valve cover I saw the Chain Guides had the same problem as above. Now going to change the Chain and see if my mixture problem is also solved. forgot to mention a already replaced four injectors.Spark plug look good. That didn’t change anything. Timed the engine today. Exhaust camshaft is out. Going to replace the chain en guides tommorow and see if it is also the solution for the rich running. Changing the timing chain didn’t solve the problem. Replaced kat and oxygen sensor with a different working car. Made nog difference. Also changed LMM this also didn’t solve the problem. Car keeps running rich. The car is now at the BMW dealer to see if they can find the problem. I would really like to here what the dealer finds out. So after being at the bmw dealer for 3 times problem still wasn’t solved. I asked them to check the fuel pressures. Low fuel pressure doesn’t have a real sensor it is calculated by the ecu. So it was difficult to check. High fuel pressure was right according to the dealer. I still had my doubts if the fuel pressure regulator in the high fuel pressure pump was working correctly. Because the rich fuel mixture was the worst when the engine was iddeling. So I replaced the HPFP with one from a different car when I had the chance. And guess what car is running great again fuel trims are spot on and the car has more power. I’m looking at buying this one, does it sound like the timing chain whine? By my ear, it does. Any indication on how long these have when they start whining, or is the preferred method to replace all timing chain components and oil pump asap to prevent a failure on the road? Thanks for the reply. I’ll pass on the car as it’s out of warranty and I don’t want to handle the expense of replacing it. It makes almost like a dental-drill sound or like a blender. Was that noise there before the custom exhaust system. Hello, I have a very close problem with this one. My car started to make that noise, but after I raced hard the next day the noise changed a lot, to another like a tek tek tek. The impression it gives, is that it really is hitting valve or other engine component. But the car is normal, has not lost power and does not blame any mistakes. I have the car stopped in the workshop without a light, because I am very afraid that something in the engine has been compromised due to this strong acceleration I made. Hi, I just had my timing and oil chains replaced, but the engine is still ticking like an old clock being cold or warm. I was connecting this noise to the chain prior to the repair, but now that it is brand new what would be the cause of this annoying noise? My N20 is ticking in a 2013 F30. All N20 engines are on the noisey side,,,,did you go back to the dealer and ask what that ticking noise is,,,i would go back to the dealer and have them check it out,,,,,it could be the drive belt tensioner making noise.